The third (or fourth) album by Pavement is a thoughtful and challenging work, certain to thrill and confound the hundreds of thousands of rock fans previously enraptured by Crooked Rain and Slanted & Enchanted. 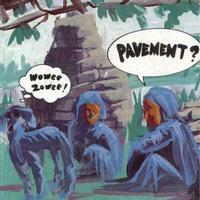 Recorded at Easley County Jail, Memphis, Pavement speak out for the first time since their incarceration. Here, as Pavement wait to be judged, we hear the human side of these musicians and public figures as they respond to some of the more than three dozen letters they have received. Here at last Pavement talk about their innocence, their ex-wives and their children. They discuss their feelings about the media, justice, religion and racism. American icons long before the events of '94 brought them notoriety and an invitation to The Tonight Show, this is your chance to hear Pavement's very personal message.